Over 500 workouts at your fingertips – updated weekly. Everything from strength, cardio, HIIT, core, flexibility, indoor cycling, and dance fitness – and 15 to 55-minute online workouts for beginners to advanced exercise. Access all of Les Mills, all the time - on all your favourite devices. Try Les Mills On Demand, free for 10 days. Strong is beautiful. 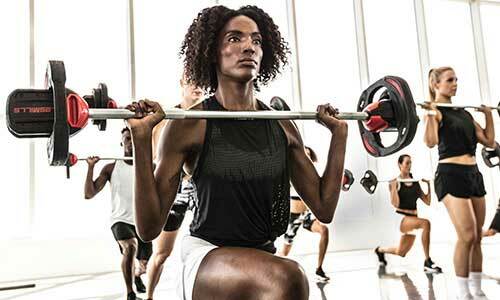 Look good, feel good, and boost your confidence with our strength-building Les Mills workouts: BODYPUMP, CXWORX and Les Mills GRIT Strength. Improved cardio fitness helps you live healthy and get more out of life. 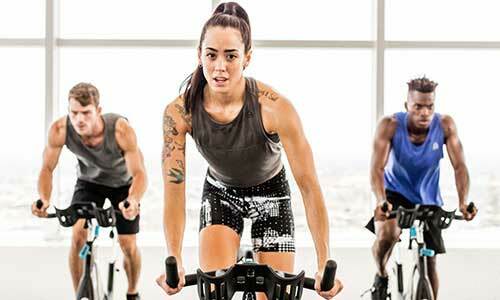 Build your cardio stamina with Les Mills workouts like BODYATTACK, BODYCOMBAT, RPM and Les Mills GRIT Cardio. Improved flexibility and increased core strength reduces stress levels. Focus your mind and create a lasting sense of well-being calm with our yoga-fusion workouts BODYBALANCE and Les Mills BARRE. Who is Les Mills On Demand Available to? You can also cast your workouts to Apple TV from your Apple devices and Chromecast from your computer and Android devices. Simple search ‘Les Mills On Demand' in each device's app store to find our app.